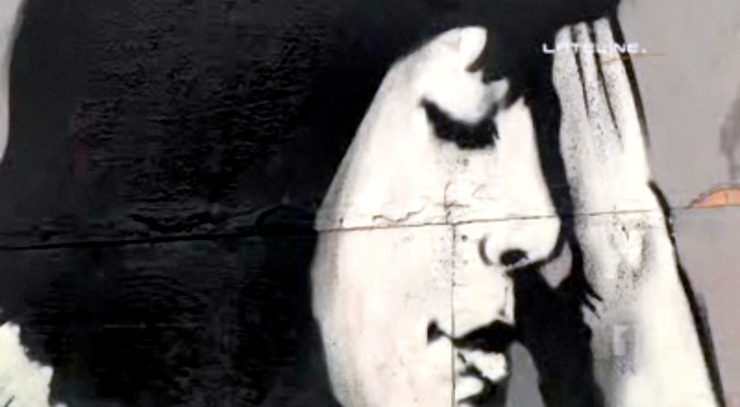 Norman Hermant, reporter for Australian news program Lateline did a story airing a couple of days ago profiling a new interest in Street Art in Moscow. 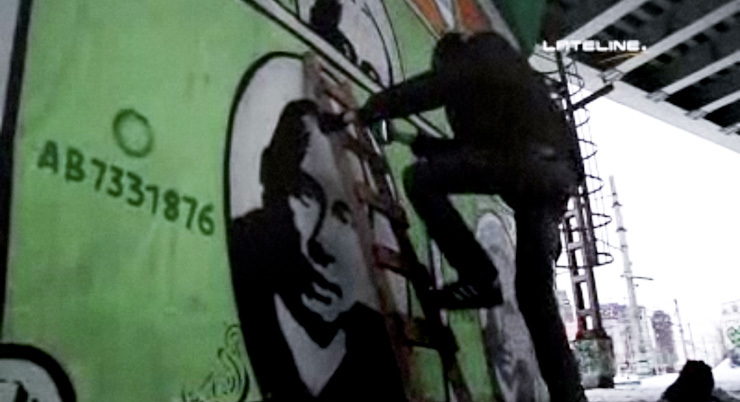 According to the story the uptick in interest is spurred by the dissatisfaction many have with Russia’s political leadership and a general increased interest worldwide in Street Art. 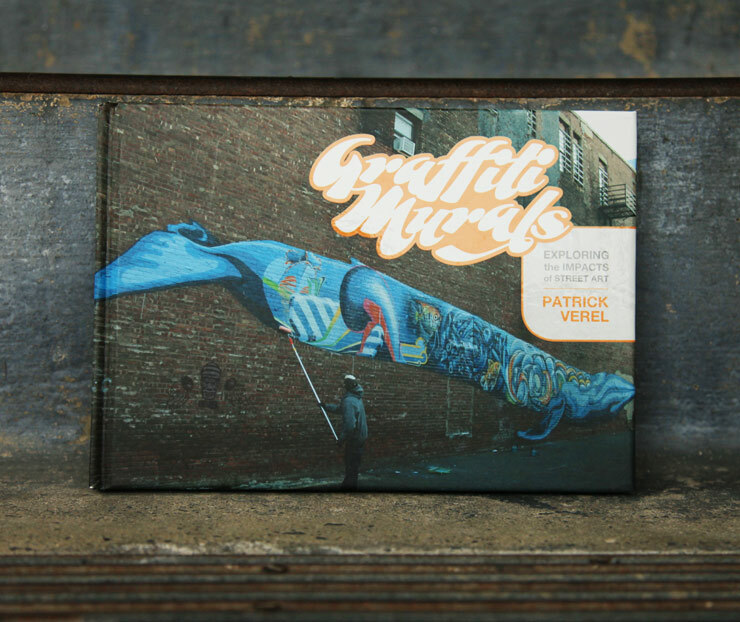 “Fans of the medium say the reason for its popularity is simple – street art can speak directly to the people,” reports Hermant. 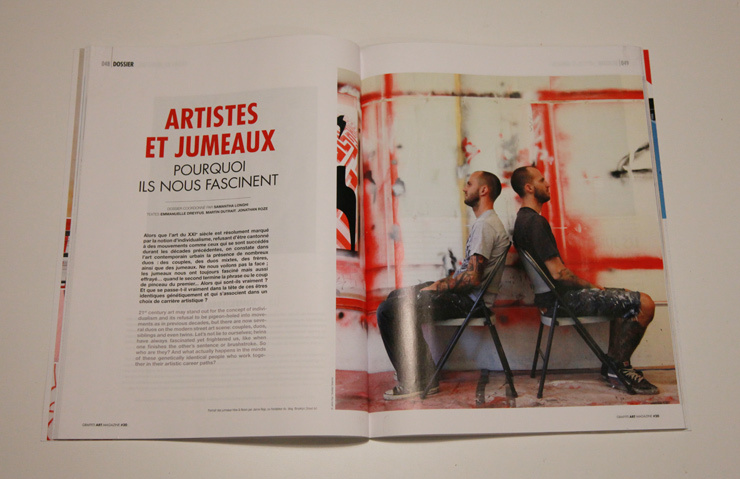 Also fun to note: Despite decades of global graffiti culture, skater culture, hip hop culture, punk and anarchist subculture, political postering, and people’s movements to change predominant political paradigms through art, the newsreader here introducing the story attributes the Russian youth’s interest in Street Art to Banksy. Still from video of news report on “Lateline” copyright Australian Broadcasting Corporation. 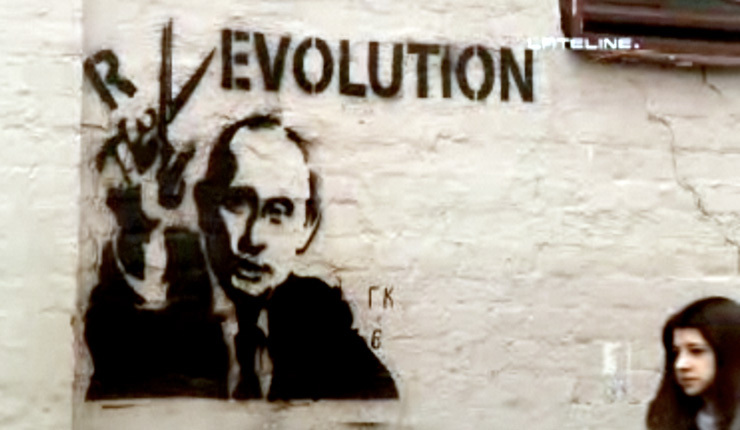 A detail from a piece by Russian Street Artist Pavel 183 in this still from video of news report on “Lateline” copyright Australian Broadcasting Corporation. Very possibly his name is inspired by Taki 183.